Vastik Mishra: ARRIVAL (2016) MOVIE REVIEW! 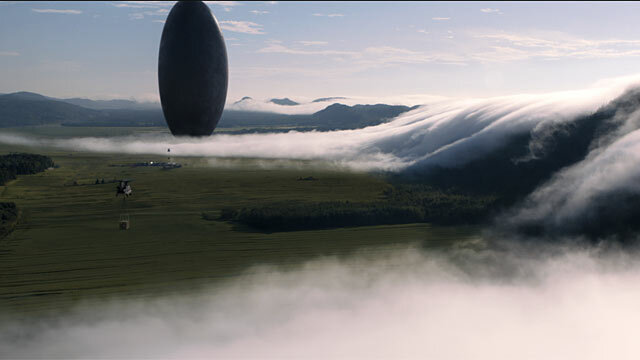 Now, here comes one of the most awaited films of 2016, ARRIVAL! I catched up the early screening of it, last night, what I mean by early is Before Friday ;). Did It lived up to my hype? YES! DENIS VILLENEUVE, Yes, by this film, he has proved that he does not make GOOD films, but GREAT films. He is one of my favourite X-generation director’s, and he still be there, maybe a little higher then the time I ranked it. He queers all the talent in this film, this is for sure the best directed movie I’ve seen in 2016, Villeneuve YES! You have done it again! 2016- ARRIVAL (or some will say PASSENGER’s, but I’m not having big expectation for that one). 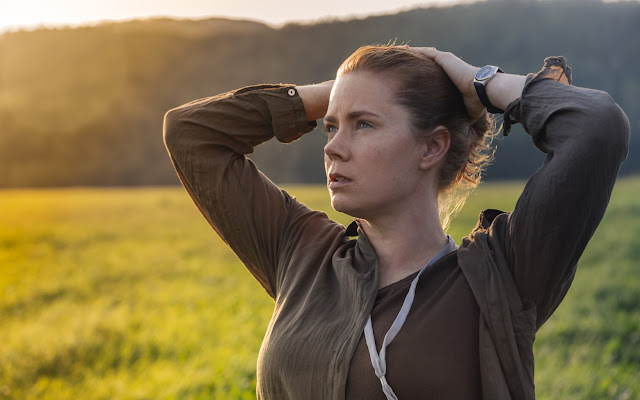 Arrival is a very well executed film, now only main issue I found with the movie was pacing, at bit’s it was slightly slow-paced, but I think it had to be that way. 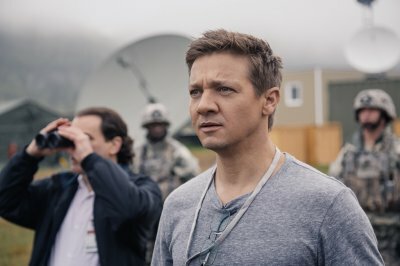 Also, Jeremy Renner’s character didn’t develop much, but I also think it didn’t need to much, and there is a moment where he get’s an information, that felt like super-herioc stuff, without spoiling ;). But those were not a huge problem. 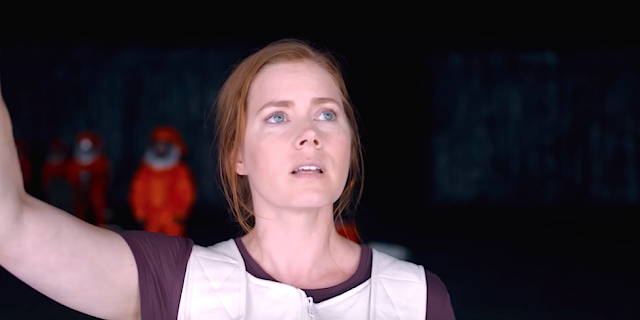 The plot, Aliens have landed on earth, in space-ship sort of thing, and they send AMY ADAMS (she is a language teacher, she knows ,many languages and can convert them), to go there and see, why are they here for, what they want, along with the team. This is a gorgeously shot film, each frame is beautiful to watch, The shot were we see the alien’s ship, is one of the most stunning images I’ve seen in 21st century. It is one big take, that was lovely to watch. This for sure one of the very best cinematography of 2016. Performances: Amy Adams is the back-bone of the film, we follow her almost the whole movie, for that the performance needed to be excellent and it truly was. Amy Adams is probably my favourite actress working today, and this could be her best performance till date. Jeremy Renner, he is great too, this might be his best performance since THE HURT LOCKER. 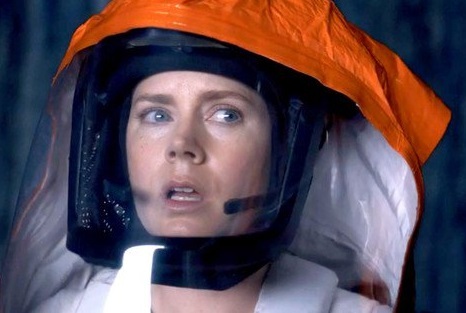 Other character’s didn’t develop, as the movie limelight had to be AMY ADAMS, this is all about her, and the aliens/species that have arrived. It had some breath-taking moment’s especially the first time they enter the spaceship. Now, I thing we all can be very happy about is that BLADE RUNNER 2049 is in the right hand’s. VILLENEUVE, after INCENDIES, ENEMY, PRISONERS, SICARIO & now ARRIVAL, then BLADE RUNNER 2049, he is surely raising his bar’s and could be a legend in the near future. Now, I have seen many films this year, But this has to be my favourite film of the year (BY FAR) up till now. Tough, I’m still waiting for the musical LA LA LAND, Martin Scorsese’s epic SILENCE. 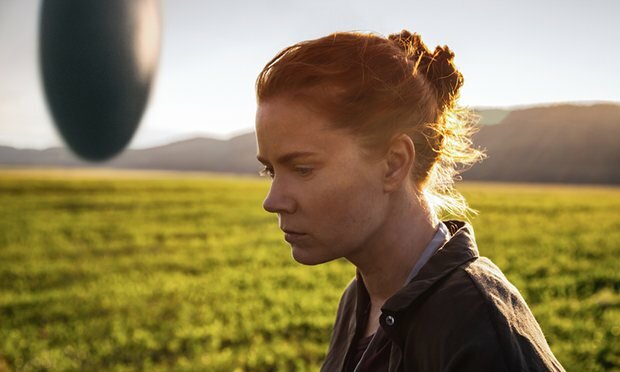 But I’m impressed by ARRIVAL very much, 2016 I tought wasn’t having great films in first 6 months, but now I think it is having it’s moment with great films. I cannot end the review without talking about the background score of the movie, one of the score was haunting, and the another had a light mode, it was a little emotionally rich. This is also one of favourite score’s of 21st century till date. The ENDING, is one of the finest endings I’ve seen in 2016, it is very well showcased, and also this is something I notice much in films, THE END CREDITS are designed beautifully. The Visual Effect’s are in near ways perfect! Overall, ARRIVAL is a complete film, You should surely go for it, this is a movie, I infact saw twice, and it was even better the second time. Then tension that VILLENEUVE reminded me of FINCHER films, and they way he directed this movie, revealing everything slowly, which makes this film a unique masterpiece. This is not his best, but still pretty close to it. Of all the films in 2016 I’ve reviewed uptill now, this will be the first film, I’ll give a perfect rating, so that itself explains a lot ;). SURELY CHECK THIS ONE OUT, LET ME KNOW THE FEEDBACK!